These frisky felines are looking for a treat. All lined up and glancing over their shoulders. What a fun quilt to make! 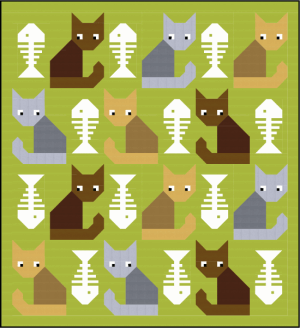 Such a great pattern, Lorna! I love the whimsy in your designs! 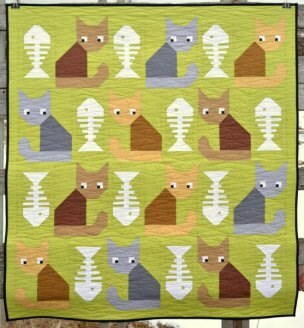 This quilt reminds me of the cats at home. always making sure they dont get caught. What a great quilt! 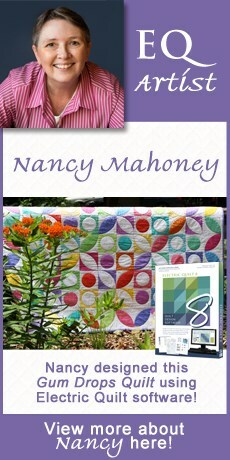 I am going to visit her web site and see if I can get the pattern. 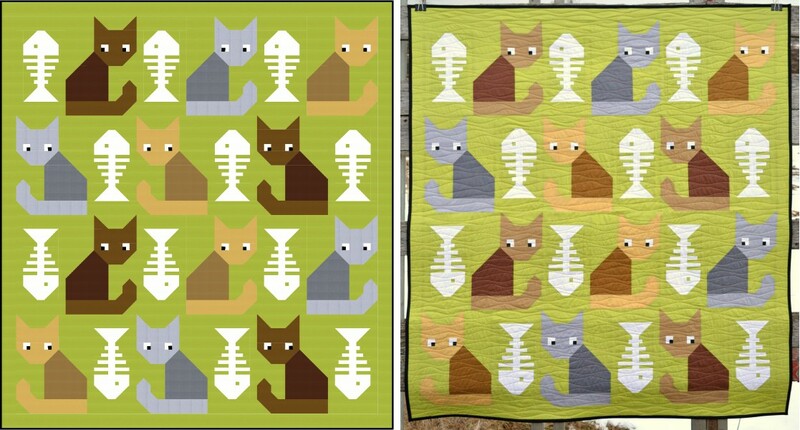 I didn’t know you could design this type of quilt on EQ.